Shell Drivers Club is offering double points on all Shell V-Power purchases until 31st January. Full details are on their website here. Double points means four points (two Avios) per litre with Shell V-Power. Standard fuel will continue to earn one point per litre. Shell Drivers Club is the loyalty scheme for Shell garages in the UK. Joining is simple – pick up a card at a Shell station when filling up and register it online. You earn 100 Avios just for registering your card so it is worth doing this even if you switch to a different reward later. You can learn more at the Shell Drivers Club website here. The scheme is simple – 2 Shell points = 1 Avios. As well as Avios, 500 points can be turned into £2.50 of Shell vouchers. The benefit of taking Avios is that Shell converts your points quarterly in multiples of 20 (ie 10 Avios) with no minimum, unlike the 500 point minimum for other rewards. The snag is that you are effectively paying 1p per Avios as you could claim a £2.50 Shell voucher with your 500 Shell points instead of taking 250 Avios. If 1p per Avios is too rich for you (it is too rich for me, I am happier ‘paying’ 0.75p or less) then take the Shell vouchers. Eurostar has announced that it is launching a 3rd weekday Rotterdam and Amsterdam service on 11th June. It will depart St Pancras at 11.04, arriving in Amsterdam at 16.11. The early morning service will leave earlier, at 07.16, arriving 12.11, potentially making life easier for business travellers. The 3rd train leaves at 17.16, arriving 22.11. Whilst the outbound service is direct, the trip back to London still requires a change of train in Brussels. This situation will continue until Amsterdam gains the facilities to complete passport and security checks. 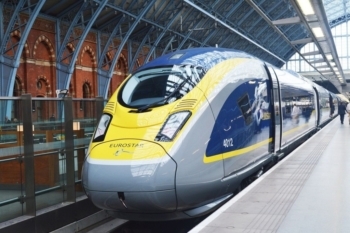 Here is Anika’s review of the inaugural London to Amsterdam Eurostar service. QHotels is a small chain of 25 four-star UK hotels. Some are run as DoubleTree by Hilton franchises, others trade under their historical names. ….. and many more. A list is on their website here. It seems that QHotels is about to rebrand the majority of these hotels under Marriott’s Delta brand. This would be a coup for Marriott which currently has no Delta properties in the UK. Delta is a ‘conversion’ brand, just like DoubleTree and IHG’s new voco brand. A ‘conversion brand’ is a brand without brand standards, allowing virtually any half-decent existing hotel to literally switch overnight without having to worry about the power output of the hairdryer, thread count of the bedsheets etc. The Nottingham Belfry is already showing on marriott.com as Delta Nottingham – see here. It switches in April. If you look at this page of the QHotels website, you will see that the legal entity for the bulk of its hotels has changed to ‘Delta XXXXX’. Crewe Hall is now legally Delta Crewe Hall Op Co Limited for example. This makes it highly likely that these properties will also be converting during the next few months. Even the DoubleTree hotels seem to be switching. DoubleTree by Hilton Stratford Upon Avon is now owned by Delta Stratford Op Co Ltd, for example. Crewe Hall getting more mention here than it deserves. Accommodation is fine but restaurant is abysmal. Only stay here if paying under £90, otherwise it doesn’t justify the price differential with the Premier Inn. Family who have stayed here said that a room in the old hotel building is nice but the newer section could be any hotel. The old building is lovely but the new building is just terribly dull and corporate feeling. A very good Q hotel on the other hand is The Midland. I love staying there when I visit Manchester. It was when I stayed there last, but changed ownership last year to the owners of the Leonardo brand. It wasn’t perfect under Qhotels and was a little tired compared to the nearby Radisson Blu, but for example when I stayed there the price differential with the nearby Premier Inn was £10, so it could be a very good offering for the price at times. As mentioned above, it’s now a “Leonardo Royal”, but apparently it’s excluded from their “Miles & More” points affiliation scheme. The Midland is forever changing brands. I did 6 months in there when it was a Crowne Plaza years ago. Since then it seems to be a different brand every time I stay there. At one point I wondered if it was going to be a Britannia next – but it seems to have tidied up a bit. Bedside Sockets or USB ports that are easy to access. Neither of us are entirely sure about the “mask menu” from room service. The standard rooms at The Midland are nothing special but, if you want to splash out, the Midland Suite is amazing value. Usually about 1/3 the price of the top suite at the near by Radisson and much better. Also The French is by far the best restaurant in town! OT: Hilton’s recent IT issues continuing. My stay from 2 January to 4 January, which should have triggered the previous promotion (double/triple points), has instead triggered the new one (2,000 points). Worth others who stayed on the shoulder of promotions checking too. The terms were very clear that the promotion would apply on a per night basis. Of course, got the customer service stock reply “We are not aware of this promotion”, which is laughable (as usual) for a global promotion. She’ll. How do you calculate that each Avios costs 1p? A litre costs well over a pound. Because your options are to either take 1p in Shell vouchers, or 1 Avios. The price of the fuel is not relevant. It would be relevant if the options were to get 1 Avios or 10ml of fuel for free. OT – sorry if it’s already common knowledge – Travelodge appears to accept PayPal now (and therefore Amex). Haven’t stayed in one for some years but I’m looking at a family trip to that London and Hilton prices are a bit silly given that their “family” rooms won’t accommodate 2 teenagers who don’t want to share a sofa bed! Have paid with amex at Travelodge for at least the last 3 years, booking via the website. It must be longer than that then 😳 Need to re-visit. What is the exact rules behind getting points out of Iberia? Is it that the account has to be 90 days or 3 months old? I opened my account on 08/10/2018. An online calculator tells me that 90 days from this date is 04/01/2019; however when I log into Avios to pull the points from Iberia, it says the account is not yet old enough. Any thoughts? Leave it another couple of days, then try again. Everyone says 90 days, to be honest. You might also find that you need to use an avios.com account as an intermediary as attempts to go directly Iberia to BA often fail. In this case, go to flybe.com/avios, log in at avios.com using the account you’ve just created at Flybe and use ‘Combine My Avios’ from there to pull them from IB and then push them to BA. So I’ve logged in today (8/01/19) and it’s letting me start the process of a transfer, so it’s definitely 3 months, not 90 days. I guess if you join in Jan though, it probably works out to be 90 days with Feb being so short. In other news, Iberia is down so won’t let me complete the transfer! I called their helpline but they said they had IT issues and to wait a couple of hours. Was looking to book a hotel in Barbados. Virgin Holidays came up the cheapest plus VS miles and takes Amex. Oh and some cash back and bonus cash back too. Was looking for hotel + car to Dublin, BA £507, Amex Travel £497. Then with my £200 off meant I triggered the discount (as I got another BA flight this week to AMS via Amex Travel). I gave up on the idea wasting avios on this trip. Then when booking the hotel in Dublin via hotels.com I was unable to use reward nights. Kept coming up with 0 discount. Called up the Gold helpline and she booked it for me there and then. I’ve found hotels.com is coming up with strange results at the moment. For example, offering cancellable rates only on some hotels at £60 and not offering nonrefundable rates (whereas going direct nonrefundable was only £43) or pricing up at £93 with breakfast somewhere else when going direct was only £44 for the same room+breakfast! I looked at a Hilton yesterday flagged Sale but £12 more than Hilton.com. I know I’d be losing Diamond benefits but this is a very quick stay and I am close to triggering a hotels.com free night. OT but Eurostar related- I am looking to book a trip to Paris as my first redemption on Eurostar. Can reward tickets be cancelled / changed? One free change, no cancellation. 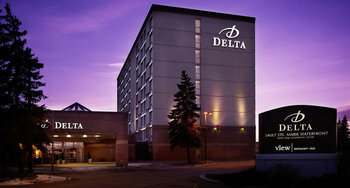 I’m guessing the Delta by Marriott thing dates back to when Marriott bought out the Canadian chain. It does. Delta was a ‘proper’ chain, though, with a standardised brand proposition which makes it a little odd turning it into a conversion brand. OT: I did the Iberia 90000 point promotion and managed to book flights for October half term for the family however my plans are changing and I think I will have to cancel the flights. Have there been any reports of these miles not being refunded due to them being from the promotion? My gut feeling is that if I cancel in a couple of months then due to their Rubbish IT system the points may return. My gut feeling is that Iberia has proved to be more switched on than we expected when it comes to this promo, so I wouldn’t bet on it. That said, you don’t have much choice – your only other option would be to change the dates whilst keeping the same route which would not trigger a cancellation. Someone asked a few days ago would they get their 90,000 back if spent on flights that Iberia has recently rescheduled so as to make them want to cancel. Has anyone got the 90,000 back under similar circumstances? As long as the Doubletree Hilton Glasgow remains a Doubletree…. great treatment as Diamond (free parking, free lounge access for registered guests + 1, and cheaper than the now dates and poorly located Hilton Glasgow. Yep don’t worry this one is a totally different one half-way to Stirling! You are referring to the golf resort near the Wardpark Industrial Estate? Yep that’s the one – “THE DOUBLETREE BY HILTON GLASGOW WESTERWOOD SPA & GOLF RESORT”, it’s 16 miles from Glasgow! OT: May have been noted here already however it’s not now possible to pay off the Brighton based card issuer with either IHG, VS or Curve when previously it was. I tried today and it did not work, so not wrong. How recent? Was fine on friday. Amount needs to be under £300 and I think a weekly cap of £700 for the creation cards. Today. I shall try a different amount. DT Cambridge is a great hotel, what in the world would be the rationale behind leaving the DT brand? The CP in Cambridge left the IHG system and went independent for a few years, decided it didn’t like it (I guess overseas tourists dried up and Expedia’s commission just replaced IHGs but without the marketing) and came to be a decent Hilton. Is Delta well enough known to attract attention? The article is misleading, it’s not the DoubleTree Cambridge (by the river), it’s the DoubleTree Cambridge Belfry that’s becoming Delta. I did worry when I read the article as I sometimes use the DT by the river when visiting Cambridge but wouldn’t bother without the HH benefits. The DT oxford only became a DT this month and the Stratford one a couple months ago. Are they really rebranding as delta hotels already. Amazing. That expalins a) why my SatNav did not know about the DT Stratford a week ago and b) why a friend who used to live in Statford had never heard of it! My partner tried using her Australian amex plat card to gain entry to the St Pancras lounge a couple of days ago and was turned away. I know this has previously worked so this is a real shame for international travellers. Amex should be aware that their customers like to travel! Was the card swiped? How did they know its an Oz card? They asked to see the back of our plat cards last month. Wow… amazed they\d go to such lengths seeing as they don’t even swipe the cards.